"Many happy hangovers to you!" 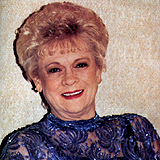 An Interview with Jean Shepard at The Grand Ole Opry, November 20, 1998. Where, when and how did you get involved in music? I was born and raised in Oklahoma; we migrated to California when I was 11 years old, right at the end of World War II. I was in high school when a bunch of us girls got together to form an all-girl band. Porter Wagoner didn't have a first all-girl band! We weren't real good, but everybody thought we were 'cause we were a bunch of girls, and girls just didn't play guitars and drums and things back then. I had the pleasure one night of singing with Hank Thompson. And he took my little acetate recording to Ken Nelson at Capitol Records and said, "I think you should sign this little girl. I think she's gonna be a big star." Well, Ken Nelson told Hank Thompson, "Hank, I don't think that there's any place in country music for women." But Hank said, "But every band needs a girl singer, don't they?" So I was the "girl singer" for a long time. We did the "Dear John Letter" with Ferlin Husky and it sold a million records, and I went back and I said, "Do you still think there's not a place in country music for women?" Ken Nelson became my mentor, and he's 87 years old and still alive and a wonderful man. He meant a lot to my career. When the "Dear John Letter" sold a million records, Ferlin Husky and I wanted to go out and work road dates. But I couldn't leave the state of California because I was under age. So my mother and daddy went to court and signed Ferlin Husky as my guardian so I could leave the state to work. We worked for a couple of years like that, and then I went to the Ozark Jubilee and worked for a year with the great Red Foley on the first country televised show that ever amounted to anything really. I joined the Grand Ole Opry on November 21st, 1955. I can remember it very well because November 21st is my birthday. I didn't know they were going to hire me. A gentleman by the name of Jim Denny was the manager at the Grand Ole Opry, and I had talked to him about becoming a member, but I didn't know what was happening. Back then, in November they had what they call the DJ Convention. Now they have it in October and they call it the Country Music Awards. I wish they still had the DJ Convention. It got really big, but back then you got to know the DJ's, and these DJ's each had a personality, and we got to know them on a first name basis. But anyway, Mr. Denny was making a speech introducing all the DJ's to Nashville, and he said, "By the way, we'd like to welcome the newest member of the Grand Ole Opry, Jean Shepard!" And there I was, 21 years old! If I'd had false teeth I would have dropped them! He just said it out of the blue, and then he looked at me and smiled and he said, "Happy birthday Jean!" He knew it was my birthday, and a very well remembered one. You were very young when you started playing music. What instruments did you learn to play and what was the process of it? I play a little bit of guitar and I can accompany myself on a little bit of the piano. When we had the all-girl band, we needed a bass fiddle player. Back then there weren't many electric basses around, so guess who got stuck with the big upright bass? I did. My mother and daddy went and hawked every bit of furniture in our house to buy me my bass fiddle. They were very supportive all through the years. Did you also play the drums? I read that somewhere. Yeah. I wasn't very good. Can you tell me more about the Melody Ranch Girls? Everyone thought that was Gene Autry, but the Melody Ranch Girls happened before I knew Gene Autry had a place called The Melody Ranch. This man in Hanford, California had a big dance hall called Noble's Melody Ranch, and he managed us and booked us. So that's where the name Melody Ranch came from, from Noble Fosberg in California. Are there any Melody Ranch Girls recordings in existence? No. A couple of them have since passed on, but I'm still in contact with a couple of the girls. They all started getting married, and their husbands got jealous, so we kind of went by the wayside. I think my sister might have some of those old recordings. You seem to have a reputation as a strong woman who has made it all on her own, as a solo artist, at a time when most female country artists were either part of a family group or a husband and wife team. Years ago, you just didn't go on the road unless you were with a brother or a husband or a family, or people would just look down their noses at you. I was under age, but that was also the reason for Ferlin Husky being my guardian. Wilma and Stoney [Cooper] were husband and wife. Rose Maddox worked with her brothers, Maddox Bros. and Rose. Kitty Wells worked with Johnny [Wright], her husband. Lulu Belle and Scotty were also husband and wife. They were all family, so to speak. But I didn't really realize that I was "solo" until a woman told me; I never did give it any thought. I just did what I wanted to do. I'm a very strong-willed person, very outspoken-- sometimes too much so, probably. Along those lines, I was also wondering what kind of obstacles you have faced or struggled with as a female artist throughout your country music career? Allison, it was a man's world back then. It was really hard as a female artist. There were really only about three of us back then: Kitty Wells, Rose Maddox, and myself. I guess the three of us probably opened more doors for the ladies now, and I'm just proud to have been a part of that. I met Hank Williams, Sr. Someone introduced me to him-- he wasn't feeling any pain at the time-- and I loved this man. He said, "Well young lady, they tell me you want to be a country singer." I said, "Yes sir." He said, "Ain't many women in country music." I said, "No sir, but I'm fixin' to change that!" He looked at me and gave me a little lop-sided grin and said, "Well, good luck to you, sweetheart!" But I was just thrilled to get to meet him; he was a big influence on me. Back then there weren't too many women per se. Kitty had out a couple of records, and I'd seen Rose Maddox with her brothers, but there weren't many women really that you could look up to, that you could follow. Well, you were one of them! I had to make my own way. I was very fortunate to have some very wonderful people like Ken Nelson, Ferlin Husky, Hank Thompson, and a bunch of great guys from Bakersfield, like Buck Owens. Buck was my rhythm guitar player on a lot of my earlier records. These guys were like brothers to me. They encouraged me and were always there for me. The '50's, and especially the '60's, must have been really exciting times for country music, what I see as a sort of golden era, when the Nashville Sound was starting to get national and pop chart attention. Also at that time a lot of female artists were really coming on strong. So many incredible country women singers came out of those two decades. Can you talk about the climate of country music in Nashville, and elsewhere, at that time, and about the community of female country artists that may have existed back then? Even though it makes me older, I am so happy that I was a part of the '50's and '60's, because, you're right, it was the golden era of country music. Everybody says it's gonna come around back to that. But it won't come back to that until you get some artists who will be true to the roots of country music. Back then in the '60's, Patsy Cline came along; later on, about '64 or '65, you had Loretta Lynn and Dottie West. Tammy Wynette came along in about '66. I thought it was wonderful. The doors were opening so fast for the females. It was wonderful, because I know what a struggle the first few of us had. It made me proud to feel that I'd been a part of it and had helped any of the women in some way. Some of these gals were just knocking the keys right off of the pianos and the jukeboxes, and so many of them became superstars. I loved every one of them. I can't think of one that I disliked or didn't enjoy some of their music at some point. And they were good gals. Patsy Cline was a very strong-willed person. So was Tammy Wynette. Tammy was sick a lot later in life, but she was a strong-willed person, she knew what she wanted, and that's my kind of person. Do you feel there was personal and professional support amongst the women? Oh yeah. I always felt that if I couldn't hold my own with any of them, then I needed to get out of the business. Even today, and I'm 65 years old, I would not be afraid to go onstage with Reba McEntire, Wynona-- that's the daughter, isn't it? That might sound dumb, but if they're not really associated with the Opry, and they're not, I don't really know them. But I wouldn't be afraid to go onstage with any of them. A lot of people might think I'm being conceited, and I don't mean that. But I know that I can still sing a darn good country song--if they wanna sing country. Now I can't do none of that pop stuff, but if they wanna sing country, I'll jump in there and sing with any of them. The success of the women has been tremendous. We can do anything that men can do, as far as music, you know. Now, I can't go out there like my husband and lift a hundred pound sack of horse feed, but I'd try it! You seem to have done a lot of work standing up for people and causes you believe in. It got me in trouble a lot! But it’s admirable. Some of the things I’ve heard you struggled for included bargaining for better union scale for your band members, supporting Vietnam veterans, and other causes. I started paying more money than a lot of the big stars—I won’t call out any names—but they really came down on me. I love my band members. These guys go out and beat the road with you, and they deserve to make a living for their families. I had several acts come in and say that I was paying my band too much money. But that’s just what I pay them. With the Vietnam veterans thing… I knew Jan Howard’s boys, and one of them got killed in Vietnam. I knew about the Vietnam War. I had been working a little show up in Connecticut, and this young man came up to me and said, "Are you Jean Shepard, the country singer?" And I said yes. He said, "I just got back from Vietnam. My best friend was probably your biggest fan." And big-mouth me, I said, "What do you mean ‘was’? He’s not a fan of mine anymore?" Then the boy broke down and started crying. I thought, oh my God, what did I say? He said, "He didn’t make it." His friend had stepped on a landmine. He said, "You’d sent my friend a picture, and every night, whether he was in a foxhole or a shack, a ditch, whatever, he’d take that picture and set it out so that it’d be the first thing he saw every morning. He would kiss that picture goodnight and say ‘Goodnight Jean, I love you,’ and would kiss it again in the morning." This broke my heart. So then we had a couple shows out here for the Vietnam Veterans. I did a song called "Welcome Home." The shows were one of the most touching things I’d ever done. Porter Wagoner and Skeeter Davis did them too. I’m a veterans advocate. These guys in World War II flew these buckets of bolts that we put together for them to fly. There’s nothing too good for the veterans; there’s nothing. Every one of them that saw battle should come home to a house paid for, just for them. We also bought televisions for bed-ridden veterans. But you have to be very careful with the Veterans Administration. They shut us down. They said we couldn’t do this or that. I said, "You mean that I can’t have benefit shows?" They said we couldn’t do anything unless they told us we could. We had to fight them to do these shows, so after a couple years we had to close it down. I wanted to give a little, not fight. It broke my heart. It sounds like you have acted on your beliefs and been involved in things that were important to you. Can you talk about the importance of this activity and expression in your life, and how it has affected your musical career? Were people hard on you when you spoke out? Oh yeah, were they ever! The disc jockeys stopped playing my records! I took a stand for country music. I lost my recording contract because I stood up for traditional country music. People would walk up to me and tell me that the DJ’s had stopped playing my records. I didn’t know what to tell them. We played a big show up in Michigan one night with Bill Anderson, Jim and Jesse, Sonny James, etc. Some people came up and told me that the radio stations wouldn’t play my records. So when I went up on the stage that night, I said, "We’ve been getting a lot of complaints that the DJ’s won’t play our records. The only thing I can tell you is to call the radio station and tell them that if they don’t play Ernest Tubb or Carl Smith or Jean Shepard or whoever you want to hear, that you won’t buy your car from Joe’s Used Car Lot or go to the grocery store that they advertise for, because they won’t play what you want to hear. The only thing a radio station can offer you is service. It’s a service. If you hit them in the pocket book, they might stop and think more about what they’re doing." People clapped and screamed, but when I came off stage, there was a man standing there who drew back his fist and said, "I ought to hit you!" And I said, "Well, if you feel froggy, jump!" I was wondering who this guy was! I’d seen him before. I realized it was the disc jockey from the local radio station who had introduced me that night. He said, "Thanks to you, Monday morning the radio station will be bombarded with people wanting to hear Ernest Tubb, Kitty Wells, Red Foley and Webb Pierce!" Exactly! I said, "Are you a country music radio station or not? Go ahead and hit me, and then I’ll turn the other cheek and you can hit me on this side too, and then you’ll work for me for the rest of your life!" I figured I’d get pretty plain with him. I got his attention, at least. My record company at the time, United Artists Records, called my husband and told him, "You need to tell Jean to tone down her little speeches she’s been giving on stage." But my husband Benny said, "Uh uh, I have to live with her! You tell her! Besides that, she believes in every word she says, and who am I to tell her that she’s wrong? If she believes in it, then that’s good enough for me." I was just standing up for an industry that had been good to me, and I hope that somewhere along the way that I have been good for the industry. My sister and I are very interested in your involvement in the "Back to Country" movement. You know, now, the most popular radio show on WSM, the Grand Ole Opry station, is on every Saturday morning from 6 o’clock to 10 o’clock, the Eddie Stubbs show. He’s a great DJ; he won’t play anything past1970, and they can’t handle all of the requests. There’s so many. And now I notice that throughout the day, once in awhile you’ll hear a Lefty Frizzell song or Ernest Tubb. There’s hardly a week that goes by that I don’t get a letter from some DJ saying that they’re trying a couple hours of traditional country. With the advent of the ‘60’s Nashville Sound, do you think that the move to "cross over" to pop eventually destroyed the country music tradition? Country music got lost in the shuffle. Country music became big business. A few months ago here, a guy called a record company producer and said, "I got this real good-looking kid I want you to take a look at." The producer said, "Does he wear a hat?" And the guy said, "No, but he will." "How does he look in a pair of tight jeans?" And the guy said, "He looks pretty good." They went through this 30-minute rigamarole, and do you want to know what the last question asked was? "Can he sing?" If you can sing, it’s a plus! I don’t believe you should be judged on how you look. I’m 65 years old, and I still sing a darn good country song. But if you don’t have a big belt buckle, a big hat on and a tight pair of jeans… This is a shame! There’s a lot of good talent out there—I’m not putting down the talent—but so many of them sound alike. I think they come to Nashville and all use the same musicians or something. You get this musicians’ clique, and they do the same thing on Alan’s record as they do on Garth’s. And I love these people; Garth Brooks is one of the nicest people in the world. I love Alan [Jackson] too. But I would like to try an experiment. I’d like to take five or six DJ’s and play some of these records for them, something they’ve never heard, by several of these new big artists, and see if they know who’s singing what. I bet you $5,000 most of them couldn’t tell you who was singing, if they’d never heard the material before. The Grand Ole Opry hires these artists, which is great. But what makes me mad is that these artists make an Opry appearance only once every seven years. Well, I’m sorry, the Grand Ole Opry means more to me than that. It has meant more to me than that over the last 43 years. If you want to be a member of the Grand Ole Opry, then o.k., we want you one weekend out of every month. If that’s too much to ask, then we don’t need you. The Grand Ole Opry, at this point in time, needs all the help it can get. It’s been through a lot of changes; some of them have been good, a lot of them have been bad. I’m very plain-spoken about this. What are they gonna do—not play my records?! I like some of the new country, but don’t use the Grand Ole Opry just because you think it’s a feather in your hat. Respect it enough to give it one weekend out of the month. That’s not too much to ask, is it? I remember when we had to make 26 Saturday nights out of the year in order to be a member of the Grand Ole Opry. One year, New Year’s Day fell on a Saturday, and I had in 25 appearances. On New Year’s Day you could triple your money, so I’d booked this date for about $4,000, which was big money 30 years ago. But Bud Wendell, the Opry general manager at the time, came up to me and said, "Jean, you’ve only got in 25 Saturday nights. We need all the help we can get on New Year’s Day, so you make sure you’re here, and we’ll call it even." I had to cancel that big-paying date to fulfill my obligation to the Grand Ole Opry. But I did it because I love the Grand Ole Opry, and I love what it has stood for all these years. (Benny Birchfield, husband): Wait! Did you ask about Patsy Cline?! We touched on that briefly, just briefly. Usually people ask that! This might sound terrible, and we don’t mean it, ‘cause Patsy was great. But so many times, that’s all they ask! This little girl called me and bugged me for six months for an interview. Finally when she came in, she didn’t say three words to me before she said, "Tell me all about Patsy Cline!" 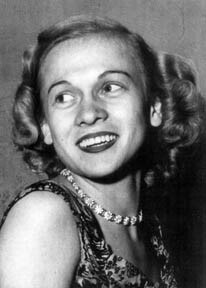 (Benny Birchfield): People try to find out about Patsy Cline through Jean Shepard! Patsy Cline’s kind of like Hank Williams, their images are much bigger dead than when they were alive. They’ve made her into a mythical icon, but they waited ‘til she was dead. Which is such a shame. It’s really sad. She could have enjoyed it while she was alive! There’s an old song, it goes, "Love me now while I am living. Do not wait ‘til I am gone, and then chisel it in marble, warm love words on ice cold stone." Give the flowers while they’re living, because it means a lot more. (Cindy, my sister): Was there an actual name for the "back to country" organization in which you were involved? A.C.E., the Association of Country Entertainers. There’s a bad story that goes along with that. Tammy Wynette, George Jones, Barbara Mandrell, Conway Twitty—about 15 artists got together to do this. I was out of town when they had their first meetings; I didn’t know anything about it. I got a call one day and was told they had started this association. Conway Twitty was in California and asked them to call me to be a board member, because I truly believe in country music. When they called, I said I wasn’t sure. I wanted to go down and see what they were all about. It was the year that Olivia Newton-John had won Country Female Singer of the Year. She made a public statement that she wanted to come to Nashville to "meet Hank Williams." She didn’t know he was dead! So me and my big mouth, I got up in front of a bunch of disc jockeys and said, "I think I would have known if one of the Beatles had died!" I couldn’t believe that this woman said she wanted to meet Hank Williams, when he’d been dead for 20 years! I knew right then that country music was gonna be in for some trouble. But anyway, I had agreed to serve on the board. The word got out that A.C.E. was a sour grapes organization, blah blah blah. Bill Anderson was in on it too, and he said the DJ’s were calling him and threatening not to play his records. But after they all started this organization and got the non-profit status and everything—after a couple years or so, they all started dropping out like flies, because they just didn’t want to be known as sour grapes. But I hung in there for quite awhile. George Jones and Tammy Wynette were married at the time, and this organization was born at their house. I called Tammy and said, "We need to close down this organization, because nobody seems to want to be a part of it anymore. I wasn’t in on it when it first started; I’m just on the board trying to do what I can to help country music." Tammy said, "Don’t close that organization down. Please keep it going. It was born at our house, and we have to keep it going." Don’t get me wrong, I love Tammy, but I said, "Tammy, that’s all well and good, but you haven’t paid your dues in two years!" And this was true. And let me tell you another thing! This is gonna shock the world. I’ve never told this before, but I’m getting ready to retire, so it doesn’t matter anymore. I lived in a $250,000 home. I borrowed money on my home from this bank, with the understanding that George and Tammy and Barbara Mandrell and all these people would go out and work a show, one a year, and pay this money back. Well, guess what? Nobody paid that money back. I should never have done it, but I’m not ashamed of it now. I had to file bankruptcy, and not one of them came to my rescue. But that’s o.k. If they can live with it, then so can I! I have completely forgiven them, but as far as I’m concerned, they let country music down. Don’t worry about letting Jean Shepard down, ‘cause I can bounce right back like a rubber ball. They did a couple of dirty turns, and you’re the first person I’ve ever told this to, publicly. Print it, ‘cause what are they gonna do—not play my records?! It hurt me that my friends did this to me. I wasn’t even involved in the first place; they got me involved. I thought it could be good. People told us we should never have this organization. But the songwriters have an organization, the musicians have a union, the booking agents have an organization. When the country music entertainers decided to form an organization, the whole industry went berzerk, and I don’t know why. I’ve never figured it out. I thought it could have been a great organization. One good thing that came out of it, the organization got the Grand Ole Opry to recognize the entertainers; therefore, we got hospitalization and retirement benefits, because of A.C.E. I love country music. It’s been good to me; it’s been good to my family. I thank God every day that I’ve been able to make a good living doing something that I love so much. Up until the time I had my first hit that sold a million records, I lived at home with my mother and daddy, when I was 18 or 19 years old. The music business was so much fun back then, and it has been throughout the years. But after I sold a million records, it got to be a big job then. And over the last forty or so years, it’s been a big job, but it’s been a job that I’ve enjoyed. Now, I don’t have to depend on it for a living anymore, so I’m beginning to enjoy it again. But I have to be truthful, while there’s good talent out there now, I still like Ernest Tubb and Red Foley and Webb Pierce and Carl Smith and Kitty Wells. These people are the backbone of country music. And Kitty Wells, at 78 years old, is still out singing. She’s a beautiful and wonderful lady. O.k. Well, one last thing, I just wanted to say happy birthday, and was wondering what you’d be doing on your birthday tomorrow. I’ll be singing on the Grand Ole Opry! It’s also my 30th wedding anniversary. It’s my birthday, it’s my 43rd year at the Grand Ole Opry, and it’s my wedding anniversary—all three on the same day. I’m a Scorpio, just made it! My mother’s birthday was November the 8th, my sister’s birthday’s the 14th, mine’s tomorrow, and my husband’s crazy!